Using Postwire's Content Analytics, you'll learn which content items best support your organization's interactions with buyers and clients. 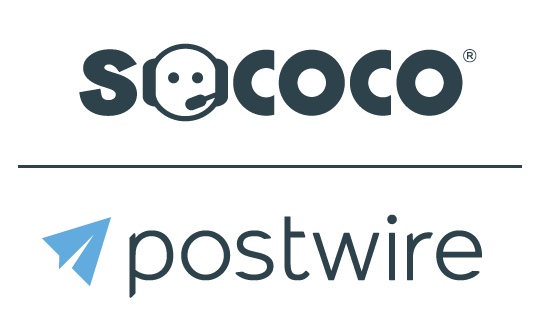 Admins of a Postwire Team Plan can see all of the content items posted by anyone within their organization, who's viewing each content item (inside and outside the organization) and who's sharing or "reposting" the content. Read below for more specific descriptions of how to use the tool and interpret the data. The graph at the top of the Content Analytics view shows total New Items and total Item Reposts per day from the last 30 days--in other words, it tallies the count of new content items brought into Postwire and number of times existing content items have been reposted to a Postwire. You can hover over any point in the graph's 30-day timeline to get a more detailed view of activity for a particular date. You can also filter your view of the graph to show only New Items or Item Reposts by clicking the checkboxes below the graph. The large numbers below the graph show the total number of New Items and Item Reposts across the organization from the last 30 days. The Content List contains all of the content items members of your organization have ever posted and reposted. This list is formatted similarly to the list of Postwires that you see when you log in to Postwire, however don't get confused: this list shows individual content items, not Postwires. The most recently viewed or reposted content items are at the top of the list. The first column in the list has icons indicating the content format type, such as image, web link, video or document. The columns to the right of the Content Item Title show when the item was first posted and when it was last "active"--in other words, when it was last viewed or reposted. The last two columns contain numbers corresponding to the total number of views and reposts for that piece of content over the past 30 days (default). The views for all copies of the original content item that have been reposted are included in the tallied totals. At the top of the list is a button allowing you to toggle between displaying totals for the past 30 days or lifetime Totals. Clicking the button updates all items listed with their new values. The more views or reposts an item has relative to others in the same 30-Day time period, the more pink it will turn in color so that you can see at a glance the most popular or trending content items over the past 30 days. NOTE: By clicking on the column headings, you can sort in ascending or descending order four data columns: Posted, Active, Views and Reposts. Used in conjunction with the toggle between data tallied for the Last 30 Days or lifetime Totals, you can use this tool interactively to get different views of your organizaton's content usage. In addition, you can export a particular data view to a CSV file for further offline analysis by clicking on the Export to CSV button. Please be patient when exporting data. Depending on the number of content items your Organization has posted, it can take several seemingly long (!) minutes to create the CSV file. The good news is the insights you can glean from the data will be worth the wait! The search box above the list allows you to search by title to find particular content items. You can also search by a person's name to see all of the content items he or she has posted and reposted. The search results show all results, including all copies of the original content item that have been reposted. Clicking on a content item will take you to a more detailed view with even more information. *Note: Currently the data refreshes once a day, so you may not see immediate changes to data or items.